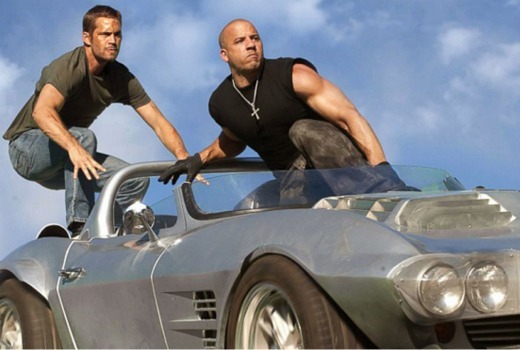 In July, Foxtel is adding a Fast & Furious pop-up channel on CH 400 for Foxtel Movies subscribers. All seven movies will screen from 6am on Friday 8 July until Monday morning 11 July. Known for its daring races, street chases, heists and turbo-charged hot-rods, Fast & Furious took to screens in 2001 with the first movie The Fast and The Furious, which created an incredible fan base and spawned an additional six sequels. Based against a backdrop of undercover investigations, underworld street crime and illegal street dragging, Fast & Furious stars some of the biggest names in Hollywood action including Vin Diesel (Dominic Toretto); Chad Lindberg (Jesse); Michelle Rodriguez (Letty Ortiz); Dwayne ‘The Rock’ Johnson); Elsa Pataky (Elena Neves) and the late Paul Walker (Brian O’Conner), who all show off their amazing driving skills and tough street talk across the film series. · The Fast and the Furious (2001) – Street racer Dominic Toretto (Vin Diesel) falls under the suspicion of the LAPD as a string of truck robberies rocks L.A. Brian O’Connor (Paul Walker), an undercover cop, joins Toretto’s racing crew to take him down only to find himself taken in by this new world. As a rival racing crew gains strength, O’Connor must decide where his loyalties lie. · 2 Fast 2 Furious (2003) – Now an ex-LAPD cop, Brian teams up with his ex-con friend Roman Pearce (Tyrese Gibson) and works with undercover U.S. Customs Service agent Monica Fuentes (Eva Mendes) to bring down Miami-based drug lord Carter Verone (Cole Hauser). · The Fast and the Furious: Tokyo Drift (2006) – American teenager Sean Boswell (Lucas Black) challenges a high school rival to an illegal street race, and ends up totalling his car. To avoid jail time he’s sent to Tokyo to live with his father and, as soon as he arrives, discovers a new dangerous way of street racing in the underworld streets of Tokyo. · Fast & Furious (2009) – Now a fugitive ex-con Dom Toretto reignites his feud with agent Brian O’Connor, but the two are forced to confront a shared enemy and give in to an uncertain new trust if they hope to outmanoeuvre him. Convoy heists and daring tunnel crawls across international lines push their skills to the limits as the two men drive on with their quest for revenge. · Fast Five (2011) – Brian and Dom team up again as Dom’s sister Mia (Jordana Brewster) breaks Dom out of custody and escapes across international lines only to find themselves backed into a corner in Rio de Janeiro. Their key to freedom rests in pulling off one last job. With their elite team of racers, they know their only shot of getting out for good means confronting the corrupt businessman who wants them dead while slipping away from hard-nosed federal agent Luke Hobbs (Dwayne Johnson) who is out to bring them down. · Fast & Furious 6 (2013) – After toppling the kingpin’s empire in Rio in Fast Five Dom, Brian and their crew have scattered across the globe having split their latest $100 million take among them; only, everyone’s anxious to get back home after life on the run. Meanwhile Hobbs is tracking another group of mercenary drivers and knows the only way to stop them is to cut a deal with Brian and Dom. The deal? Full pardons so the crew can finally go home, but only if they can out match the mercenary team. · Fast & Furious 7 (2015) – Hoping they’d left their criminal life in the past, Dom and his crew have gone separate ways only to be hunted down by someone out for revenge. Worse still, they cross paths with terrorists out to steal a computer terrorism program that can turn any technology into a weapon. Dom brings the team back together to save the day only to find themselves in a power struggle between the terrorists and the US government. I still can’t get over the fact that Helen Mirren will be joining the gang for the next instalment. I still can’t get over them making more than one of these. They make bucket loads of money at the box office. Why wouldn’t they keep making them. Yeah, I know. It wasn’t a genuine question, more a comment on their artistic merit. It’s the same with the endless stream of Marvel superhero films with exactly the same plot and CGI action sequences.